Bringing the latest research into the classroom. “When I became a parent, I became a better teacher. I began to see my students like they were my own child.” These are the words a teacher friend of mine said to me before I had my own daughter. I didn’t understand and didn’t necessarily believe her. I do now. 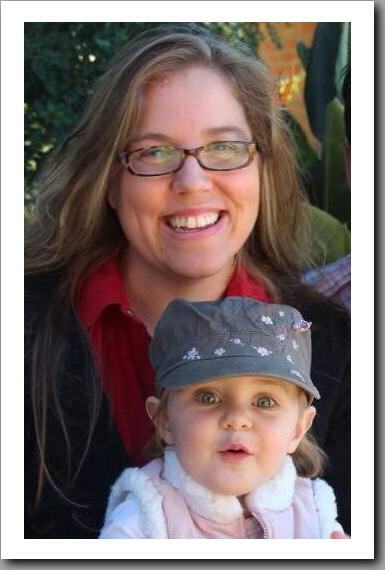 When I became a parent, I quit teaching in the school system and became a teacher to my daughter. As I stumbled along during those early months, I became aware of a problem I had: I didn’t want to do what society and “the experts” told me to do. I wanted to listen to my instincts. So, I studied and researched what I consider a more natural parenting approach. Some call it “attachment parenting,” but I prefer the term “emotional attunement.” I want to be in attunement with my daughter, and she with me. 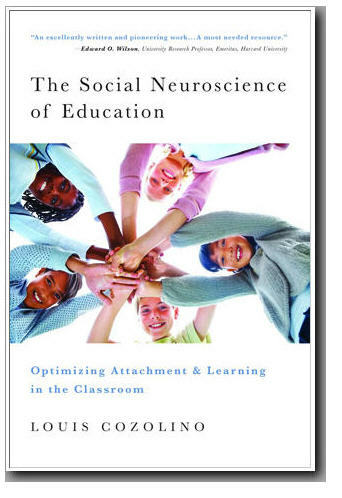 When I was asked to read and review the latest book from psychologist and neuroscientist Louis Cozolino titled The Social Neuroscience of Education, I was intrigued. Emotional attunement with my students? Sounded a little crazy, but the idea that some of the same principles of “attachment parenting” could be applied with students made sense. I had every intention of writing a typical book review with lots of pros and cons. The dog-eared pages and thoughts scribbled in the margins are testament of the course I undertook to prepare. But by the time I finished the book, I realized that my experience reading this couldn’t be limited to pros and cons. While it takes some time to get there, this is a book that takes the reader on an important, self-reflective journey. And in over a decade of teaching, in various schools and under various administrations, I have not once heard a core message as important as the one this book carries. Generally, I like to read books that can give me practical activities I can use next week. This is one area that was a bit of a challenge with Cozolino’s book. The beginning of the book delves into a lot of scientific info, which to be honest, for me is a bit of a strain on my interest level. It’s hard for me to focus on practical application and relevance to the classroom when reading about rats, monkeys, cortisol and dopamine. Often the book can get pretty heavy on statistics—which, while necessary to make certain points, can tend to distract in some areas. If you’re the type to seek quick, practical examples over detailed explanations of amygdala function, this may not be the book for you. At the same time, the depth of information is important. As Cozolino comments, “The problem [with brain based learning] is that the science is complex, challenging to learn, and difficult to apply. The result is that a few principles are taken out of context, turned into a sound bite . . . and come to nothing but a set of new clichés.” And he’s right. I can’t count how many times school administrators would tell us about new ideas they liked and wanted to implement, only to see them fail or fizzle because we didn’t have all the information or because something new came along. Among the ideas Cozolino puts forward, I found some helpful, some vague, and many what I would consider utopian ideas—those that no teacher or administrator (let alone school board) is going to just fall in line with. The ideas require a certain kind of teacher, a certain kind of school, a certain kind of administration, a certain kind of training, and a certain kind of experience; this is all in addition to a complete revolution of the education system as we know it and view it. So far, it probably sounds like I didn’t care too much for this book, right? Not so at all. In fact, when I finished it, I realized that throughout all the book’s ups and downs, Cozolino had led me on a soul-searching journey that forced me to examine who I am as a person and what kind of teacher (and parent) I want to be. As he puts it, “Tribal teachers become loving and protective parents to their students. . . . The tribal teacher develops rapport and trust with students to create an emotional climate that is safe and supportive of new learning. The teacher becomes the students’ secure base by expressing caring concern and willingness to listen, and proving that he or she can be trusted.” This of course, is one of those ideas that seems a bit utopian, and may in fact be very difficult for those who haven’t experienced parenthood, but at the same time there are things each individual teacher can work on in his or her own classroom and life. So, I had the academic knowledge of teaching. I had the enthusiasm and love of subject that is needed for teaching. After a few years of self-reflection and personal awareness, I even began to respect my students more. (And if you know many teachers, you know that’s, unfortunately, a rare thing.) I even began to think in terms of my own accountability to the students—that if they weren’t doing well, it was, in most cases, my fault. My ninth year of teaching included a lot of changes. But even with these changes, I was missing a crucial component. My heart wasn’t in it. That’s not to say that I didn’t feel concern and care for my students; I did. But much of what I did, I did from a position of knowledge and power. I know it is good for them to have structure, so I’ll have procedures they must follow. I know it’s good for them to realize that when they don’t do their work, there will be consequences. I know I shouldn’t yell at them, so I don’t. All of these things are good, but my motivation wasn’t. Cozolino’s book helped me realize that what kept me from being that fantastic teacher everyone (including myself) truly loved was heart. I can know something is good for them, but I should also genuinely desire it for them because they are fellow human beings. Honestly, the fact that I rarely, if ever, considered that saddens me. I was so focused on academics, meeting requirements, managing behavior and being “the teacher,” I completely forgot about the real people sitting in my classroom. And there it was. What I never had: a goal that wasn’t academic. No one had ever suggested such a thing. I was never taught, nor encouraged to think this way. In fact, I think anything that might have even approached it was really just an attempt to bring up test scores. In the current academic climate, everything is geared towards completing curriculum standards. Cozolino suggests we as teachers should be enabling students to express their thoughts, become more aware of themselves and others. We should have highly challenging content and confidence in the ability of our students to meet our expectations. This is a Herculean task for most teachers and administrators. It is the ultimate human experience to continue learning and to connect and form relationships with those around us. Cozolino deftly summarizes: “As human beings, we need to connect with our students as much as they need to connect to us.” To create an emotional attunement with ourselves and with the real people in our classrooms is a worthy goal for every teacher. So, what began as a simple book review will end as a thank-you note. Thank you, Dr. Cozolino. Your book has changed who I am as a teacher and parent.